*As with all investments, your capital is at risk and rates of return are not guaranteed. Please read our important information page and risk warning before investing. Did you know there’s a major funding gap in property developments? Lending to property developers had been an extremely lucrative business for banks, until 2008 when new regulation restricted them from lending more than 60% of the Gross Development Value of any given property development. That means property developers are often left with a substantial funding gap to fill. Thanks to our peer to peer property lending platform, you now have the opportunity to fill these funding gaps in carefully vetted 3rd party developments and earn double digit returns. Investing in Mezzanine Finance deals was until recently, only available to financial institutions and high net worth individuals. Everyday retail investors are now able to join forces via our peer to peer platform to provide mezzanine finance and fill the funding gap on carefully selected property developments from well-established developers and benefit from the lucrative returns on offer. We build on the bank’s risk assessment and due diligence and conducting additional due diligence and feasibility studies for added protection. This allows the developers to fill the gap between the bank’s lending and their equity contribution. And, it allows you to earn double digit returns with the benefit of a registered second legal charge. Please note: mezzanine finance investments pay a high rate of interest as they are only secured by a second legal charge and (usually) a directors personal guarantee. As such they involve more risk than our own House Crowd Development loans where your investment is protected by a first charge and a floating charge. You must appreciate this risk before investing and, as with all investments, only invest money you can afford to lose. Let’s say a development project will cost in total £10M. Once complete, the expected value of the development is worth £12M. The profit created once the properties are sold makes the deal work for everyone. The developer in this case contributes 15% of the costs (£1,500,000). They are in a first loss position. 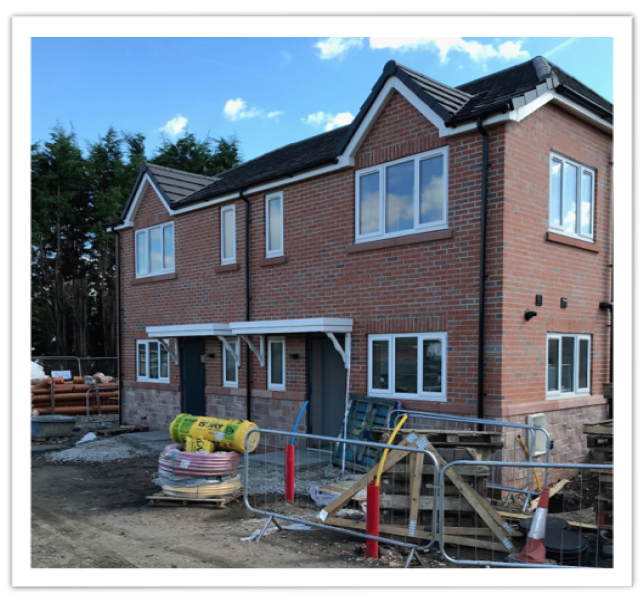 The bank will typically provide finance for the ongoing construction, depending on its lending criteria, up to 75% of the development costs or 60% of the GDV (in this example: we’ve assumed the senior debt is £7,200,000). The gap between what the bank lends as senior debt provider and the developers’ equity (in this example) is £1,300,000. That’s the gap mezzanine finance fills. And because you will have a second legal charge and sit behind the bank when the revenue is paid out, it potentially carries higher risk and offers you the opportunity to earn higher returns. The developer takes his profit only once you have received your capital and interest due. As additional protection, we will always require personal guarantees from the directors. The House Crowd Limited (FRN 725648) is authorised and regulated by the Financial Conduct Authority. Note that none of our affiliate companies, including HC Finance and House Crowd Finance (security Agent) Limited, are authorised and regulated by the Financial Conduct Authority and that borrowers do not benefit from the regulatory regime that applies to our investors. Neither The House Crowd Limited nor any of their affiliates or group companies provides any advice or recommendations in relation to this website. If you have any doubt about the suitability of any investment marketed by The House Crowd Limited, or you require financial advice, you should seek a personal recommendation from an appropriately qualified financial advisor that does give advice. Investments are only available to certain specified persons who are sufficiently sophisticated to understand the risks. Investments in property and unlisted shares carry risk, you may not receive the anticipated returns and your capital is at risk. Our peer to peer lending investments, secured on UK property have paid investors an average return of 9.2% p.a. since launch in 2015. Help get Britain building and earn typical interest rates of 10% investing in high quality property developments. Fill the development funding gap for established developers and earn double digit returns. Hassle free investing with no ‘downtime’, so your money’s earning interest 365 days a year. Invest up to £20,000 in The House Crowd’s Innovative Finance ISA and earn 7% p.a. tax-free. Need quick access to your money? Now you can invest in our secured peer to peer loan portfolio and gain access to your funds at just 30 days-notice. Are you a company director or senior employee? Investing in our products via a SSAS pension could be a great tax efficient way to build for your retirement. Are you a property owner looking for a fast, flexible and short-term bridging loan? The House Crowd has access to private capital and virtually unlimited crowdfunded monies, which can help you fund your residential or commercial property transactions, development or renovation projects, or business cash injection. Are you are looking for property development finance for future projects? The House Crowd are looking to partner with experienced property developers and builders with a proven track record to help them finance their projects through our cutting-edge crowdfunding platform. House Crowd Finance provides secured bridging, refurbishment and development loans. We have access to a pool of immediately available funds and in additional, virtually unlimited, capital can be raised from our rapidly growing investor database. Learn how each of our investment products operates. Learn how to start investing in just a few easy steps. Read real-life stories and testimonies from our House Crowd members. Have any questions for us? We’ve collated the most common enquiries we get, and they’re all answered here. Read what some of our investors think of investing and earning with The House Crowd. We’re proud to be rated excellent on Trustpilot. Read our reviews from investors. Like any investment, ours are subject to an element of risk. Learn more about this and what it means for you. Useful information for further reading all in one place. Join CEO of The House Crowd Frazer Fearnhead and investing expert Paul Stallard as they explore a range of thought-provoking issues surrounding alternative investment. Designed to educate and entertain, our brand new 'Alternative Investment' podcast brings a variety of upbeat, bite-sized tidbits. Regular updates, information and opinion from Frazer and the team. Our mission is to enable our clients to build a financially better future for themselves through the provision of market-leading crowdfunded property investments that deliver predictable and consistent returns. Meet the people behind the scenes making it all happen. Meet the founder and CEO of The House Crowd, Frazer Fearnhead. Keep up to date with our latest press coverage. Frazer’s not short of a few opinions! Learn about what we stand for and the values that we work hard to uphold. Have a question? Get in touch and we’ll get back to you as soon as we can. Would you like to work for a dynamic friendly fast growing company based in modern offices in Hale, Altrincham? We are open to part time and flexi-time working and are always looking for top quality people to join our team.